A global overview of the ravages of climate change as told through the experiences of communities on the front lines. From Montana's Powder River Basin to the Alberta Tar Sands, from the coast of South India to Beijing and beyond, partners Avi Lewis and Naomi Klein (who also narrates) weave together emotional stories of struggle and survival by communities that are forced into activism against the energy behemoths with surprising results. 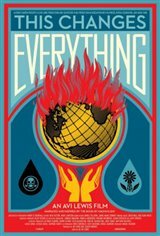 Inspired by Naomi Klein’s international bestselling book of the same title, the movie builds to her most controversial and exciting thesis: we can seize the existential crisis of climate change to transform our failed economic system into something radically better.